New home construction in Abilene, Texas is what Clift Construction specializes in. Contact our construction office and we can start planning to build your new home today. Clift Construction is a fully licensed and bonded business offering construction and remodeling services, pool construction, roofing and general contracting. A new home is more than just bricks and mortar. It's an essential part of who you are. At Clift Construction, we create the most exciting new homes imaginable, set them in vibrant neighborhoods and invite our customers to invest their dreams in them. The Clift Construction team will be guiding you through this important time and monitoring the completion of each step involved in order to maintain the structure of this procedure and ensure that your experience in your new home purchase is unforgettable. Clift Construction can help you with a Abilene, Texas mortgage that is right for you too. Green design and construction is available. If you are concerned about our Earth and wish to build with the latest green home construction, we can help. Contact Clift construction about green ideas. At Extreme Exteriors, we firmly believe that we do more than design and build a beautiful custom landscape for your home or business. Why? Because we know that we have a small part in helping you create the backdrop to the story of your life. Covenant Contractors, Inc. is owned and operated by Phillip Phelps. General contractor specializing in residential remodeling. Special interest is taken in total kitchen upgrades, whole house remodels and creating living spaces that bring great enjoyment. We build and construct projects with sound fundamental techniques while taking advantage of up to date technology and contemporary design ideas. Doing a good job is never out of date. Diamondback Painting, LLC is a full service residential & commercial painting company serving Abilene and surrounding areas. We are a fully insured painting company. We provide professional interior and exterior painting, pressure washing, custom cabinetry finishes, concrete staining, fence & deck staining, specialty pool deck coatings, wallpaper removal, and much more. Diamondback Painting has a reputation built on our attention to detail, accountability, dedication and most importantly, customer service. Give us a call for your free consultation and estimate. 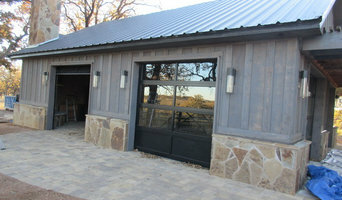 Abilene Decorative Concrete Werks, Inc. 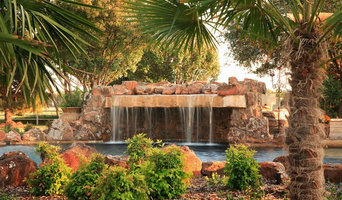 If you're a property owner in or around Clyde, TX, the concrete contractor at locally owned and operated Abilene Decorative Concrete Werks, Inc. can supply you with a dependable crew to complete your concrete project. Not only can our team provide comprehensive project planning services, but we also make it our mission to deliver a prompt, accurate finish for each job we undertake. Let us take your ideas and turn them into concrete masterpieces that you'll enjoy for years to come. We work on both interior and exterior projects that incorporate this durable, versatile material, and our extensive knowledge of mixing and pouring concrete takes the guesswork out of the process. That means you'll get reliable surfaces that will hold up to years of use. Driveways are just one of the many items we build. Feel free to reach out to us, we would love to hear from you! Stockard Homes, Inc. is owned and operated by Wesley Stockard. Wesley is a third generation home builder and has been building in and around the Abilene area since 2002. Building well-constructed, beautiful yet functional homes is his greatest passion. Growing up, Wesley worked alongside his father and learned firsthand what it takes to build a quality home. We pride ourselves in building quality homes and offering exceptional, personalized service throughout the entire building process. We continually strive to find new ways to build innovative, energy efficient homes using the latest in today's technology. Our attention to detail shines through in every home we build. We offer a wide variety of floor plans, but also welcome the opportunity to design your custom home. Each finished home is the unique reflection of our client's vision. All our homes include high quality standard features, custom cabinetry and functional space. When it comes to something as important as your home, we don't take any chances. We only work with people we trust, and we maintain long-standing relationships with quality subcontractors. Our in-house professional interior designer is also available to assist in helping to design your home inside and out from start to finish. 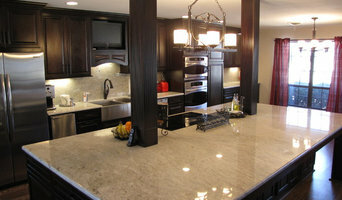 4B Remodeling & Design, Inc.
General Contractor - Residential Remodeling - Interior Design Services. 4B Remodeling & Design, Inc. is owned and operated by Haley Tabor. We offer general contract work, residential remodeling, and interior design services in the Abilene and surrounding areas. We also offer a showroom with products available for remodeling and design projects. We will design a space, help with selection of materials, and execute a remodeling or design project from start to finish. We are a one-stop shop and turn-key solution for any remodeling or interior design project. We work with all budgets and design styles. 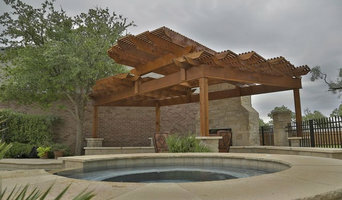 Stonebridge Design offers a full-range of services through all phases of the building design and construction process. Serving the residential industry, Stonebridge is equipped to deliver superior design and construction at any scale. Our design team approaches each project from a fresh perspective, implementing our diverse experience and education, to successfully deliver unique and engaging design solutions. Mason Trendsetters is a family business in Abilene, Texas and Biloxi, Mississippi. We offer homes of exceptional quality and architectural sophistication. Unique and trend-setting design details ensure that your home will be a reflection of you and is tailored to your wishes and needs. From rich woods and rustic stones to soaring ceilings and graceful arches, we create homes of enduring beauty and value that are built with care and pride in craftsmanship. Imagine your new home a showplace with custom faux finishes on its walls, dramatic moldings and ceilings, innovative outdoors spaces luxurious baths and professional-grade kitchens. We provide as many upgrades and amenities as you would like. Mason Trendsetters can build your home from scratch, from your vision, or customize one of our proven plans to suit your needs. If you do not have time for the entire building process, we know that you will be extremely happy moving into one of our currently under construction or ready-to-buy homes. Throughout the building process we are committed to on-going open communication. Our goal is to establish a long-term relationship that will make you a member of our building family for many years in the future. We won't be satisfied unless you would recommend us to your family and friends. Even if you're the kind of person who makes everything a DIY project, there's always a point when a home remodeling or decorating project could use a professional set of eyes. 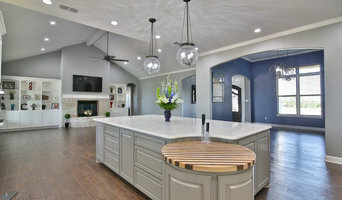 Whether you are redoing your backyard, need some help planning your living room or can't figure out where to put the kitchen sink, a quality home professional in Abilene, TX can help you do it right. Hiring a qualified Abilene, TX home professional puts their years of schooling, certifications, training and experience right at your fingertips. But before you start sending out dozens of emails and making phone calls, sit down and think about your project. What's your budget? What is the scope of your project? Will you need more than one type of professional to complete your home improvement project in Abilene, TX? Can you afford to complete the full project now, or should you tackle it bit by bit? Once you've settled on your project’s priorities, budget and scope, it's time to start researching Abilene, TX home design professionals. Don't sell yourself short and settle on the first professional you set your sights on. Make sure that you're working with someone local, who can get to the jobsite easily and efficiently. Look into the person’s reviews, ask to speak with former clients and to see previous jobs in person. Take a good look at their portfolio photos: How similar are these projects to your own? Be honest — that mansion might look beautiful, but it might not have a lot in common with your little bungalow. Reach out to multiple professionals — especially for larger projects — and don't settle for the first bid you hear. Comparing multiple Abilene, TX professionals' bids and experiences can help you find the one that’s best for you. Ask a lot of questions now, so you won't have unexpected answers later. Find a home design professional on Houzz. Narrow down your search by type of professional and location. Browse Abilene, TX portfolio photos, read client reviews and contact each Abilene, TX professional for more information. Check out the information in the specialized professional sections too for tips on how to hire the right professional for your project.